After visiting Narnia, we drove to Hamilton – beautiful Botanical Gardens – and then to Rotorua to walk around the Blue Lake (it bears its name for a very, very good reason. It’s very, very blue). Next stop: the Tongariro National Park. We stayed in a town called Ohakune, located in the Park, in this cute little hostel with the very fitting name The Hobbit Motorlodge – and who are we kidding, of course we chose to stay there because of its name. Oh, and by the way, Ohakune was also the town where they set up camp while filming in Tongariro National Park, so there was the hotel they all staying in down the road from the hostel, which was a bit cool. Okay, back to the Park, because do you know what’s in there, apart from beautiful landscapes and wonderful things? Exactly: some other parts of Middle-Earth. 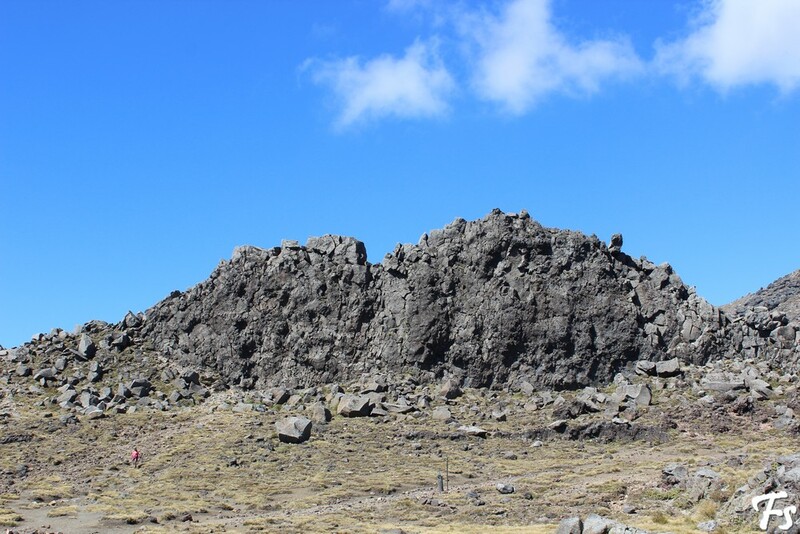 For instance, a volcano, used for the distance shots in The Lord of the Rings. 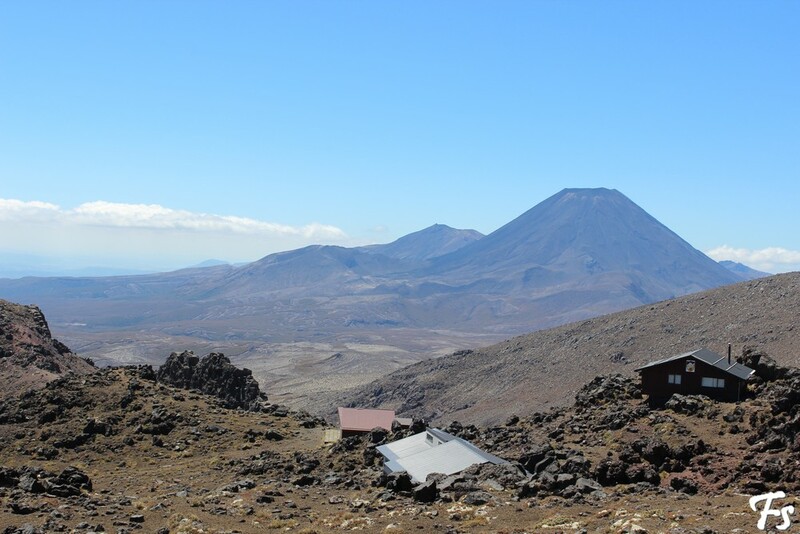 You have guessed correctly: it’s Mount Doom! Kinda. Same place, different location: in the chapter “The Taming of Sméagol” in “The Two Towers” there’s these rocks, and we went to see those too, simply because they were right next to where we were. It’s rocks, so you can imagine how much there is to look at, but it’s a rather impressive wall of rocks that almost looks man-made but isn’t – and, the best part, you have an absolutely breathtaking view from behind said wall. I think they used that in the movie as well, so here’s a picture. If they didnt… well, here’s still a picture. That was the first location we went to take a look at. 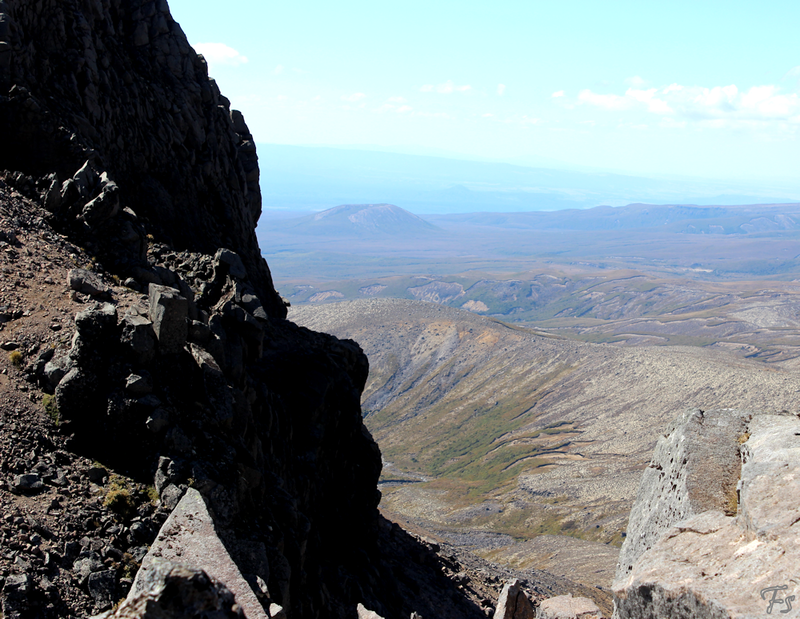 We then continued our journey to the next stop, still in the Tongariro National Park. It’s a waterfall, seen (and drastically altered) in The Two Towers, where Faramir shows Frodo that he has found Gollum and is willing to shoot him for trespassing into their sacred waterfall. Its name? The Forbidden Pool. Its real name? 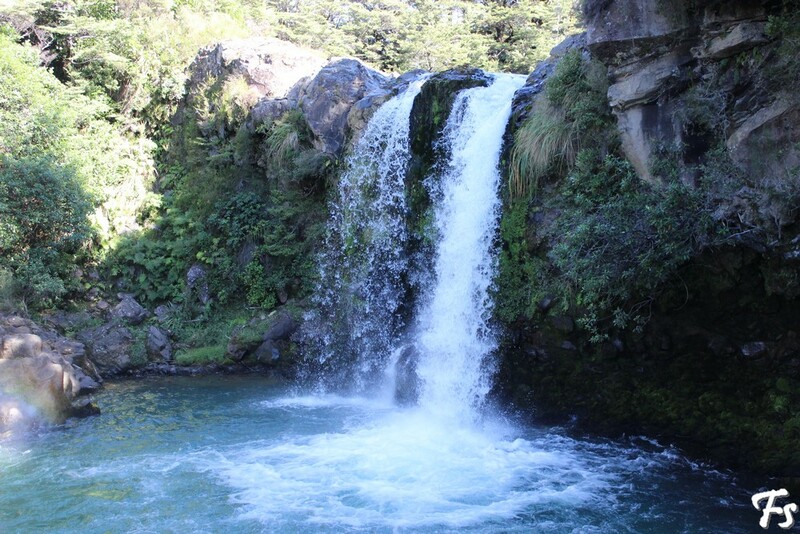 Mangawhero Falls. It’s a beautiful little waterfall – and I do mean little, it’s not very high and has nothing on what you see in The Two Towers – with incredibly blue water. It’s very pretty to look at, but we were expecting a little… more, maybe? But, again, that doesn’t take away any of it beauty. After all, it’s still in New Zealand – they don’t do anything else but beautiful. Good news is, it’s not actually forbidden! There were people swimming in the Pool, even jumping from the rocks next to the waterfall. We might have done that, even though it was a little cold on that day, just for the sake of jumping into the Forbidden Pool and live to tell the tale, but sadly, we didn’t have our bathing suits with us. So, learn from our mistakes: should you ever find yourself in New Zealand, do carry a bathing suit on your person at any time, because you never know when you might come across a beautiful lake or river or the likes. 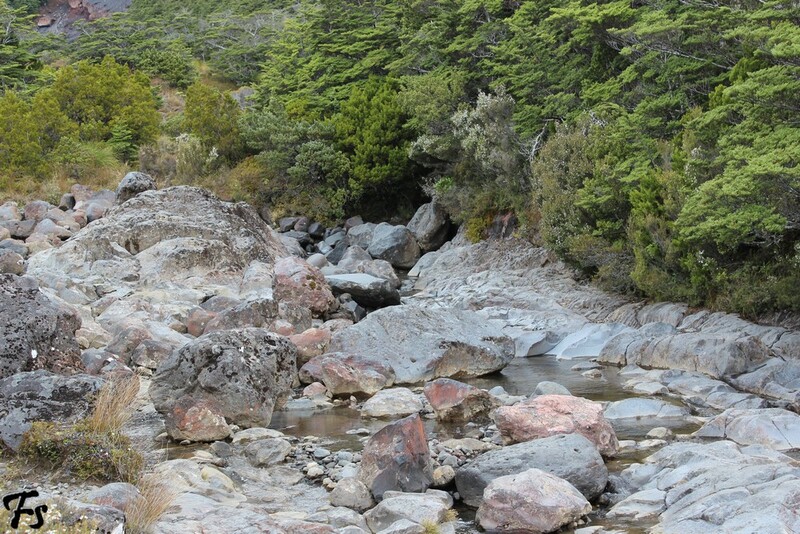 The last place we went to in the Park (the last LOTR-related one) was only a short drive away from Ohakune, where they filmed the scene of Gollum catching a fish in a river in the forest of Ithilien. Again, the landscape was spectacular, but it’s New Zealand, and every landscape is spectacular; had we not been carrying Frodo’s “Lord of the Rings Location Guide”, we might have driven right past it and not even notice it. There’s nothing all too special about the place, not even its beauty, and there’s not much for you to recognize it from. Still, it’s worth taking a look at should you find yourself in the area. We hiked around a little, and we can guarantee, it is not wasted time. 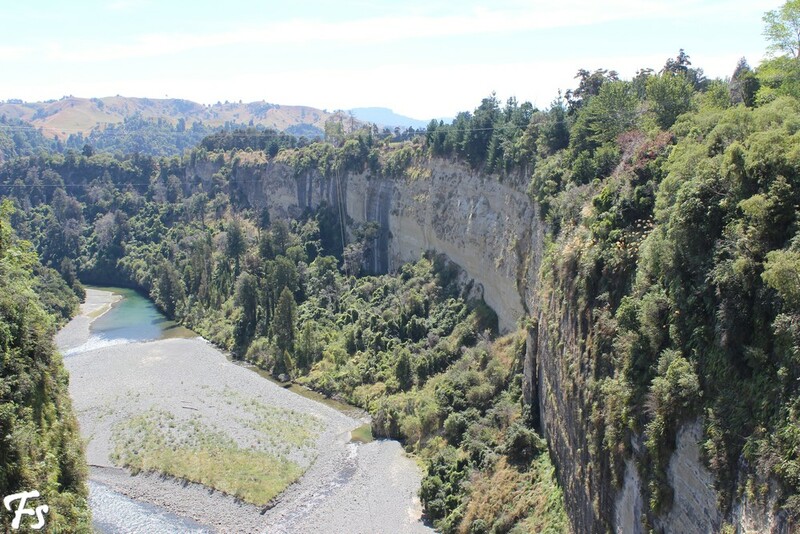 On the next day, after checking out of the hostel and leaving Ohakune and the Tongariro National Park, we drove to Taihape, whose river is known to our fellow Hobbits, Elves, Men, Dwarves and the like as the river “Anduin”. It’s not as impressive in itself as it seems in the movies, but the water is astonishingly green, and the rocks on the side of it were ginormous.